Salt: A Lazy Person’s Kubernetes? ISSUE 126: Salt: A Lazy Person’s Kubernetes? 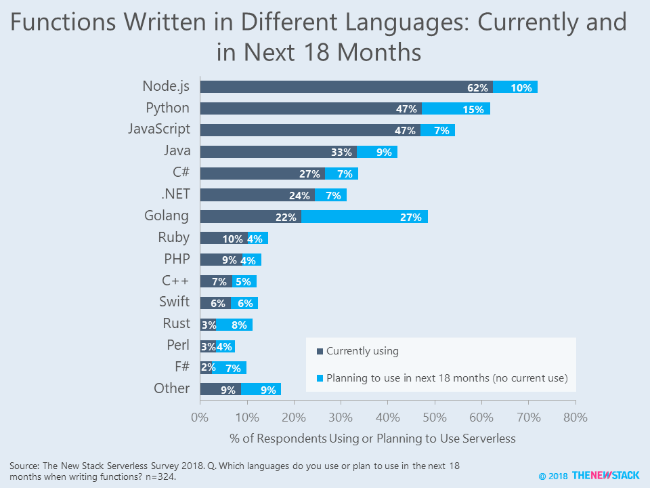 Serverless developers are saying to themselves, “Ready, set, go!” Over a quarter of people with serverless architectures — either in use or which they're planning to use — expect to write a function using the Go language (Golang) in the next 18 months, according to a survey by The New Stack in August 2018. 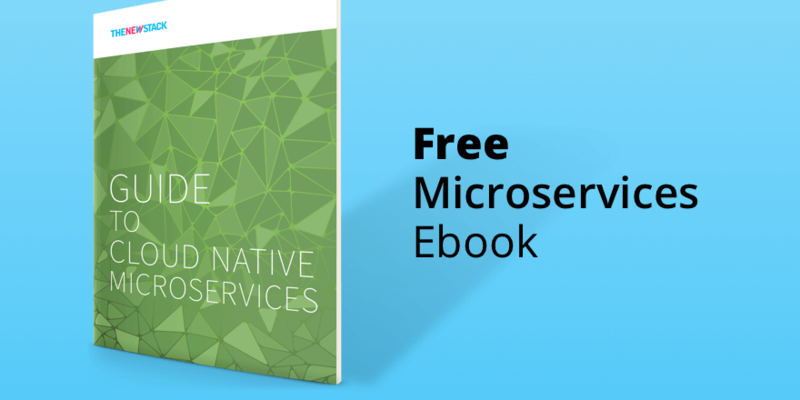 The study’s complete results, including a cleaned dataset, will be made available when the ebook "Guide to Serverless Technologies" is published. Overall, use of Golang is just a third of Node.js use, which was the first environment supported by several FaaS providers. The reason for the huge percentage planning to write Golang functions is that AWS Lambda began supporting Golang in January 2018. Google Cloud Functions may be following suit as they are currently offering experimental support for Golang. It would not be surprising to see Microsoft Azure Functions add Golang to its support roadmap, since language support is a key criteria when evaluating. With Golang’s centrality to the container ecosystem, it appears that these developers are eager to take their skill set to serverless architecture. Future articles will look at the number of functions used per application, as well as frameworks that make it easier to write functions in other languages. Stay tuned. Michael Winser, product management lead for Google’s Cloud Build, described what CI/CD means for Google, as well as the term’s meaning for the software industry. He discussed that and the emergence of continuous integration and continuous delivery, and their combination during the past decades, for this latest episode of The New Stack Makers podcast, hosted by Alex Williams, founder and editor-in-chief of The New Stack. Earlier this month, at SaltConf in Salt Lake City, SaltStack showed that you don’t need Kubernetes to do orchestration. 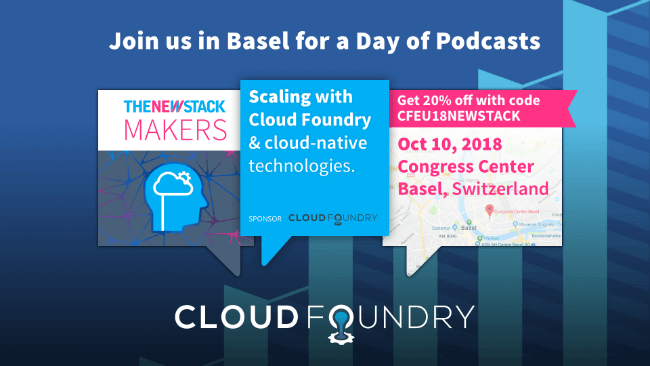 In one session, SaltStack technical consultant Gary Richmond (who was also a guest on our upcoming TNS Context podcast this week) showed how to do event-based orchestration using the SaltStack Master-Minion model of configuration management. An administrator simply has to mark in a text file an orchestration state, and the master node will propagate the changes to all the minions, or agents, on the end-devices. For instance, an organization could set up a continuous integration/continuous delivery (CI/CD) pipeline where a new version of a software application has been tagged. A post-commit git hook could initiate a call to the SaltStack API to automatically provision infrastructure and launch a test suite, Richmond explained. Or, you could use SaltStack to initiate virtual machines on a cloud provider, using Salt Pillars, or configuration files specified for one type of workload. While it may not offer the fully flexible cluster control that Kubernetes offers, SaltStack could be used to automate routines in many managed service environments. Check with a SaltStack representative to see if it is a good fit for your organization. While many in the cloud native community praise the Prometheus monitoring tool for its ease of use, it was not designed to permanently store operational data, nor be used for more than one client. Now a project from Weaveworks, called Cortex, packages Prometheus to address this issue, offering long-term distributed storage of data, as well as multitenancy for service providers that want to offer Prometheus as a service. We’ll say it: serverless is not going to work for all IT infrastructures. And as serverless becomes more popular, many organizations are adopting the platform for the wrong reasons. It is tempting to think serverless can solve many deployment and resource management issues when it really cannot. We look at how, and when, serverless can be the best bet for a company. A lot of eyes outside tech enclaves are on Linus Torvalds, the so-called father of the Linux kernel. For more than 25 years, Torvalds has been in charge of maintaining the kernel, and he’s often been brusque — some say rude — in his email guidance. Writer Jennifer Riggins reminds us to review what we write before we hit Send to make sure we are as respectful to our fellow human beings as possible. 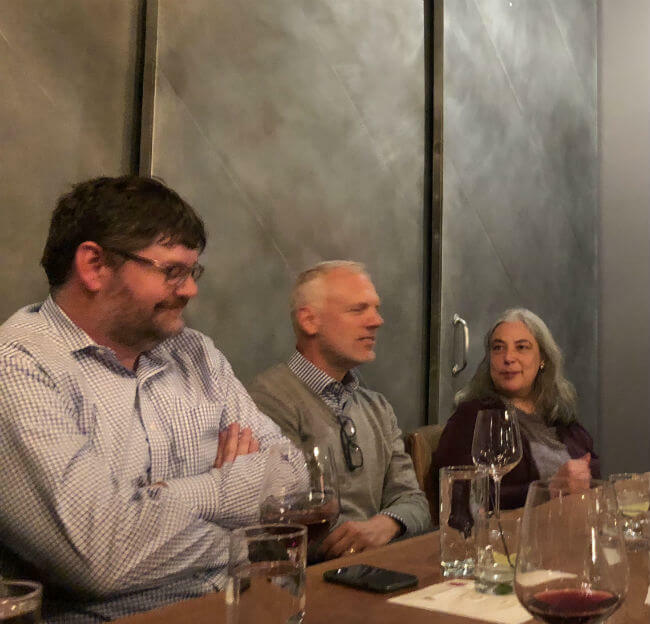 Flanked by journos (left to right): Tom Krazit of GeekWire, Barry Crist of Chef, and Minda Zetlin of Inc.com.